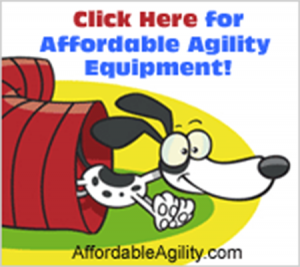 Affordable Agility provides dog agility obstacles that are portable, affordable, and in stock for immediate shipping! Tunnels, chutes, weave poles, etc., and lots of unique obstacles not found anywhere! We work hard to find the best materials at the lowest prices to make it affordable for everyone to have fun and succeed at the dog agility sport that is sweeping the nation! 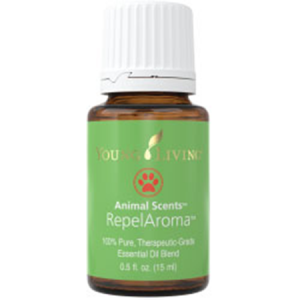 Check out our Amazon Store! All the products and books have been handpicked by Shannon. If you are looking for a good training or behavior book, order it here! 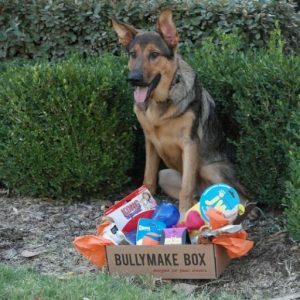 If you are looking for training equipment, toys or treats these are products that Shannon has used herself! WHAT’S IN THE BOX? Each box contains 2-3 extremely rough and tough chew toys. Including our own toys made in-house here at Bullymake! These toys are the toughest around. We send a monthly variety of toys made of different materials and all toys we send have a 14 day longevity guarantee!